In this article we’re assuming you understand how a simple principle and interest loan works. If you need a refresher on this you can read more here. The loan account is where you will be borrowing from, where the Offset account is where you’re own savings can be held. In the loan account you have a maximum borrowing limit, an interest rate charged, possibly fees, and in most cases you will still be making regular repayments. The loan limit may reduce over time or could be fixed depending on the arrangement you have with your lender. The interest rate that you pay on your mortgage is typically higher than what you would get on your bank account. For example the interest rate you pay on your mortgage might be 7%pa and at the same time, the interest you earn on your savings account might be 3%. In addition to the 3% interest you earn from having cash in the bank, this interest will be required to be added to your taxable income, reducing the actual rate of return you receive on your savings. The purpose of a Line of Credit Loan is to deliver a more beneficial outcome for the use of the savings account, without reducing the flexibility or access to these saved monies. In essence, the money you have in the savings account will reduce the amount of debt in the loan account on which the interest is calculated on for that month. Let’s say you have a mortgage debt (LOC) of $100,000. You also have a cash savings account of $50,000. Let’s assume the previous interest rates (loan 7%, savings 3%). If you had a traditional Principal and Interest Loan you would be paying 7% interest on $100,000, being $7,000 per annum. 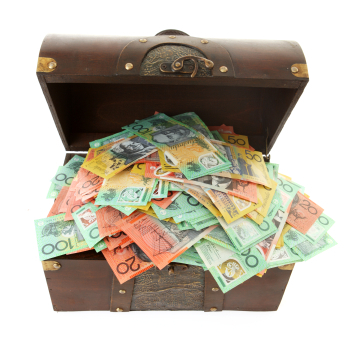 You will also be earning interest on your $50,000 at 3%, being $1,500 per annum. Ignoring taxes, you would be out of pocket $5,500 ($7,000 less $1,500). Compare this to the option of having the savings account balance offset the loan balance. In this case, the $50,000 savings balance would reduce the $100,000 loan balance to $50,000 for the purpose of calculating the interest to be charged. The net cost would then become 7% of $50,000, being $3,500 per annum, providing a saving of at least $2,000. Importantly, the $50,000 in savings is still fully accessible, like any normal bank account, with the added bonus that it’s reducing the interest that is payable on the outstanding loan. Many people who use these types of arrangements would have income such as wages deposited directly into their savings account within their LOC facility, ensuring the maximum amount of money is offsetting the loan balance at any particular time (as interest is calculated daily). We are not saying this approach is for everyone, just highlighting how to make the most of this type of facility. Importantly, this type of loan can get people into trouble. If your loan does not have a reducing maximum balance, you may lose the discipline to pay it off at a healthy rate, leading to a significant amount of your money going to interest repayments and therefore not paying down your loan capital. It can also be tempting to buy larger/more expensive items once you have seen your cash balance rise. Using a LOC provides you with an easy way to access money that would otherwise be extra repayments. So it is important to ensure you’re still maintaining a disciplined approach to your personal financial management. Doing so includes periodically reviewing your investments, cash and debt levels. If it’s about time you reviewed your spending, our Budget Planning Calculator will help. Taking it a bit further, the LOC loan arrangement becomes more complicated once you start looking at using borrowings for investments. There is often a phrase used when discussing debt and this is “good debt” and “bad debt”. Good debt is debt that you can claim the interest as a tax deduction and bad debt is personal non-deductible debt. Generally speaking, you can claim interest on debt you have used to purchase assets with the intent of generating income. The overall rule of thumb is to keep deductible debt and non-deductible debt separate. If you combine debt that is both for personal and investment related functions, it can become quite complicated at tax time. Accordingly, when using debt for investment purposes, either for the first time or when restructuring, we highly recommend that you ask for personal financial advice. To see how much time and interest can be saved over the life of a loan with an offset account, use this Home Loan Offset Calculator. Mortgage products are constantly changing, as are people’s personal circumstances. At the end of the day you want to receive the loan type that suits your stage of life and your needs. You can read the Debt Management learning module here, which will explain some other mortgage types. If you want to watch a video on the funny side of debt watch this. You may want to read this if you are contemplating buying a home. Do you want to review some other tips to save money?